Autonomous cars won’t have the edge over human drivers until every vehicle can communicate with each other and predict what’s happening over the horizon, according to IAM RoadSmart. Driverless cars will still need a human watching the road, the research suggests. 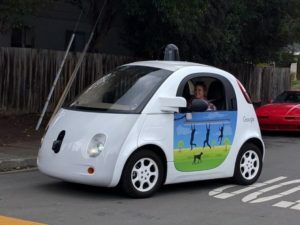 The road safety charity said it believes the full benefits of self-driving cars won’t be felt until vehicles can pre-warn each other of conditions ahead, citing research published in a white paper from the University of Michigan which suggests human and machine co-operation is needed in the interim. According to the research, machines offer quicker reaction times, more consistency and are better able to monitor multiple channels. However, human drivers have an advantage in terms of perception, reasoning and sensing what’s ahead, as well as memory of previous conditions.